When we arrived at Ikurangi Eco Retreat my environmental heart was instantly filled with joy. 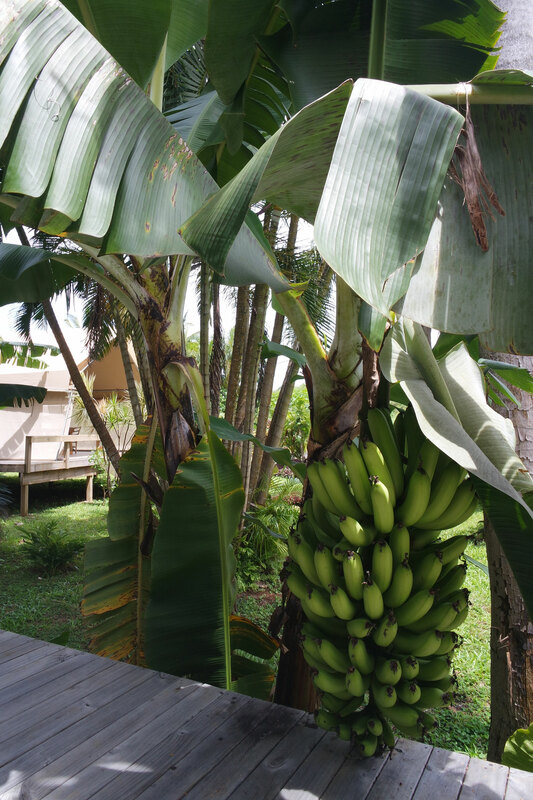 This lovely resort was designed with a lot of love for the nature and an eye for sustainability. As an environmental and civil engineer we really appreciate the effort Luana and Matt had taken to create this unique and relaxing space. This way you can enjoy your holiday to the fullest without and big environmental footprint. 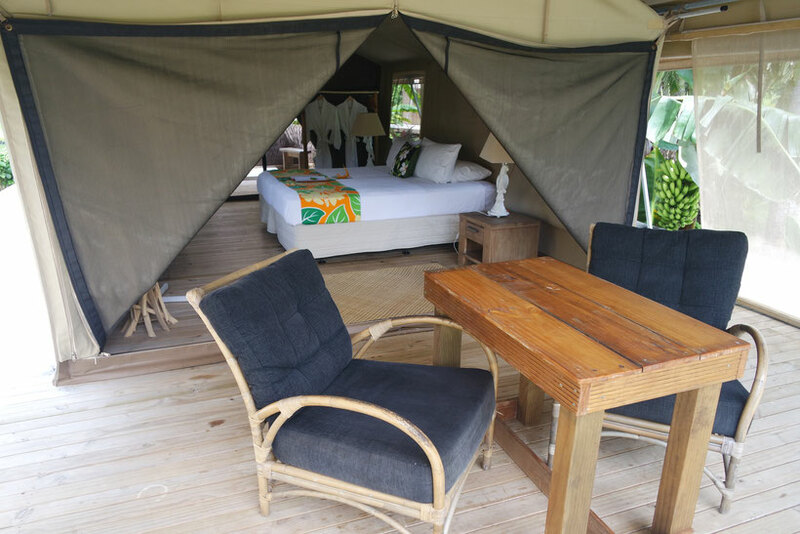 If you haven’t heard of glamping before, it is easily explained with the two words glamour and camping. 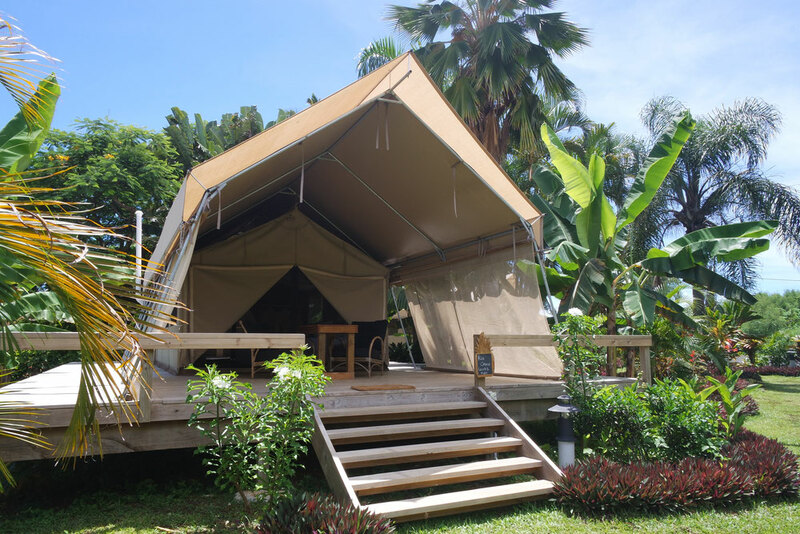 So basically a combination of both results in a luxury version of camping in a tent that offers all amenities like a bathroom, king size bed, fridge and complementary coffee and tea. 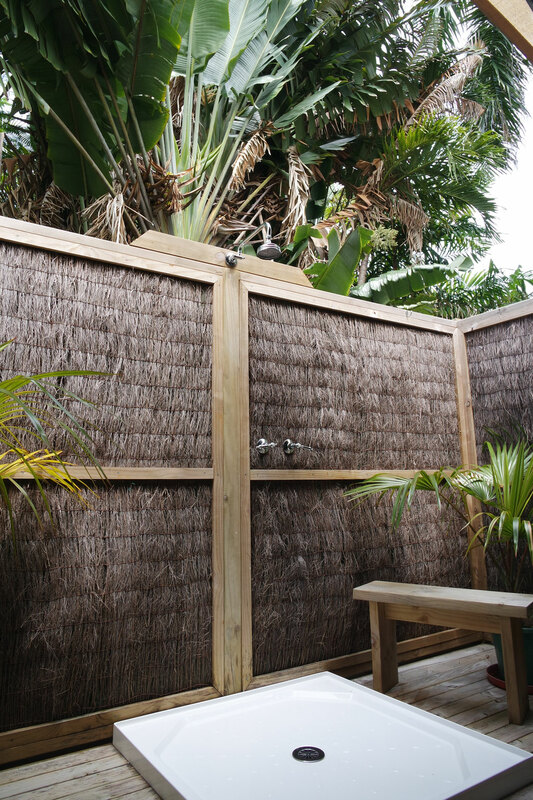 The airy tents of Ikurangi Eco Retreat offer an attached outdoor bathroom to enjoy a real tropical shower right under a huge palm tree and comfy bathrobes to snuggle in when its raining. The design of the tents doesn’t even make you miss an air-condition at all. 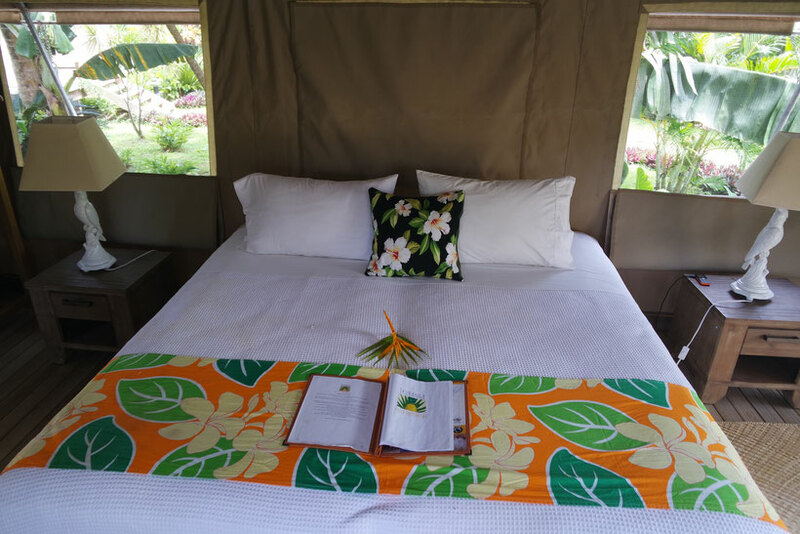 The comfortable and stylish interior is inviting to stay in bed all day, but we wouldn’t recommend it, since the garden, the pool and the rest of Rarotonga wants to be explored as well. You can either spent your time on a sunchair at the saltwater pool between somelush greens or take one of the complementary bikes to go on a ride. 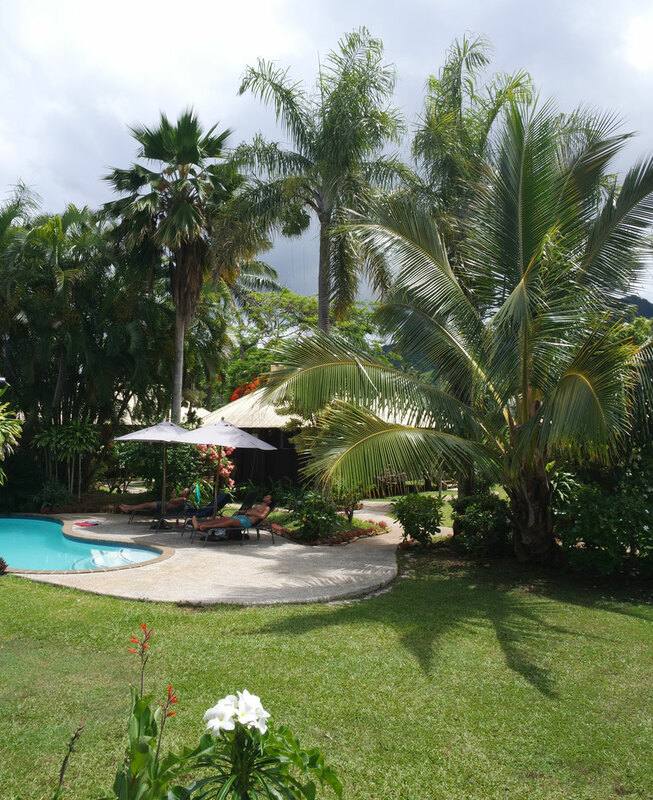 The retreat’s location is off the main road lying at the foot of the mountains in a green surrounding with a lovely and well looked after garden. 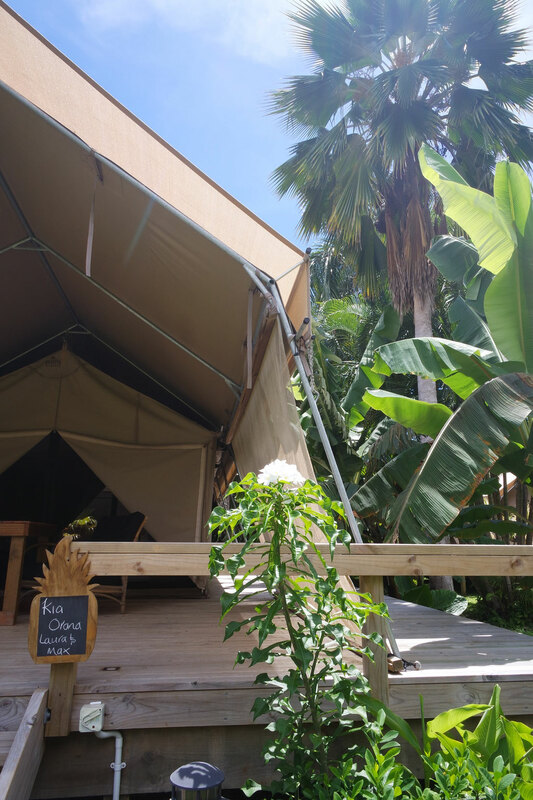 Compared to other places next to the road, at Ikurangi you can really relax and enjoy your free time to the fullest without any traffic noises or busy streets. 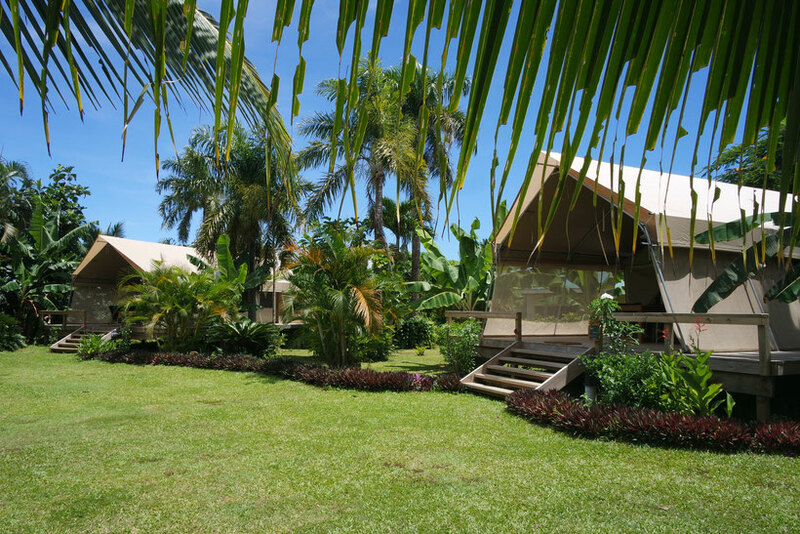 There are only 4 tents and 2 cabins which are set well apart from each other so that you have your privacy. Since we have been on the road for over two months, it was delightful to really calm down and enjoy the comfort of the retreat. 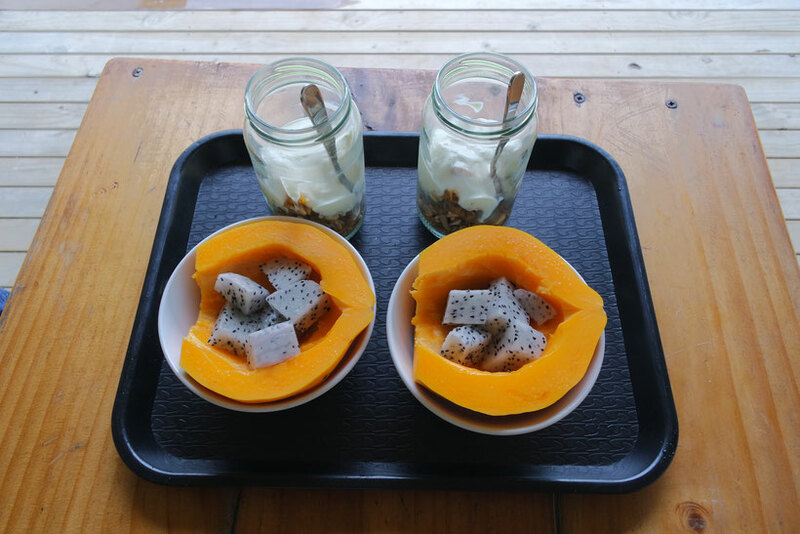 Everyday you will be served a delicious breakfast that changes from morning to morning - it can be croissants, smoothies, muesli or fresh fruits. For lunch, you need to get the bikes out, but there are amazing food options around. Don't miss out on the famous fish sandwich at Moorings Cafe or the best burger ever at Vili's Burger Joint, easily reachable by bike in a few minutes. And one night you should definitely use the possibility of spoiling yourself with a great dinner delivered to your tent and lovely prepared with fresh and local ingredients by an incredible chef. 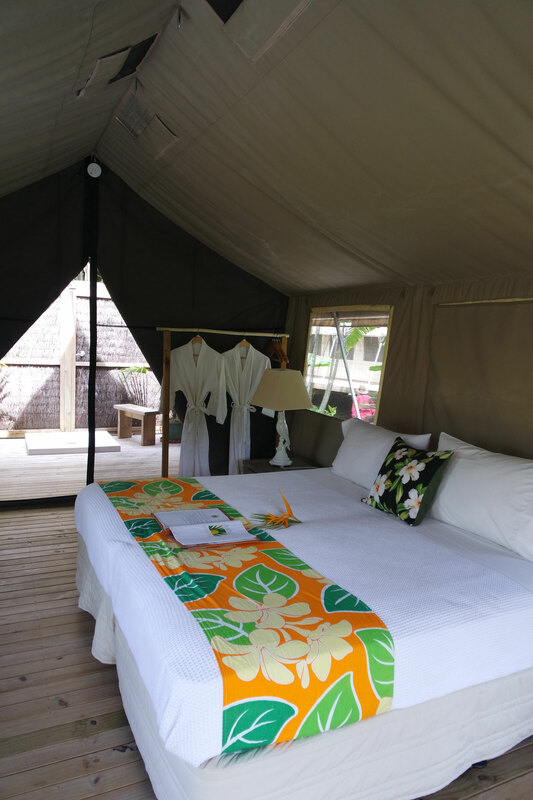 Just enjoy the romantic silence on your tent's veranda. And if you have any needs or questions, the lovely Josie is always there for you.